The ultimate power tool, chainsaws are incredibly useful and great to work with but they can also be fatally dangerous if used incorrectly or without safety precautions. Whether a beginner or someone who needs to recap, make sure to read over our chainsaw safety tips. This is not an exhaustive guide to chainsaw safety and is no substitute for safety training. Always follow the chainsaw manufacturer’s instructions and safety precautions, which should be found in the owner’s manual. Always use both hands to control the chainsaw. 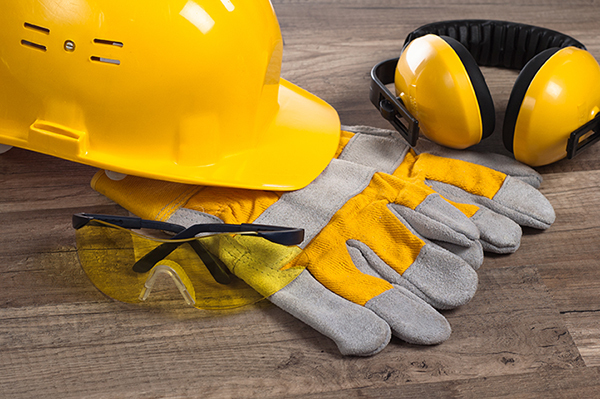 Wear the relevant protective clothing, which can include steel top cap boots, a hard hat, eye and ear protection, snug work gloves and chainsaw safety trousers or chaps. Never cut with the chainsaw’s kickback zone (see image) or let it come into contact with anything while the chain is moving. Check the chain tension before starting and tighten if necessary. The chain will loosen with use and can cause serious injury if it comes off during use. Note: new chains should be checked again after 20 minutes of use as they tend to stretch quickly at first. Check older chains again after an hour of use. Whenever you are not cutting, use the chain brake. If moving the chainsaw a short distance, hold it with your left hand by the front handle only to avoid accidental acceleration. When moving more than 10ft with the chainsaw in hand, turn off the engine. Do not cut until you’ve fully thought through the what-if’s, e.g. if you are felling a tree, consider the different directions it could fall in and ensure all possible outcomes will be safe. 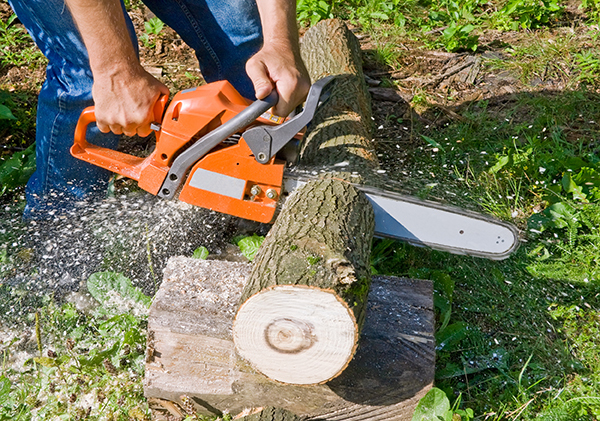 Move at least 10ft away from where you added fuel to your chainsaw before starting the engine. Only use the chainsaw if it is in good condition with all safety features intact and a sharp chain. Tired or under the influence of alcohol or drugs. Cutting above your shoulder height. In weather with strong winds and gusts. Grip - wrap your thumbs and fingers around the handles for a firm, encircling grip that will prevent a serious accident in the event of any kickback. Posture - stand with your feet shoulder-width apart in a comfortable and sturdy position to one side of the chainsaw, not directly behind it. Never squat down or overreach while cutting. Practice - if you are a beginner, get a feel for the balance and power of the chainsaw by cutting light, dry branches before moving onto more difficult tasks. Hitting the Wrong Materials - avoid any contact with the ground or any other non-wood materials. Always remove wire, nails or screws from the wood you intend to cut before starting. Use an outdoor extension cord especially for use with power tools. Do not use it if standing in a wet area. Be very careful not to trip over the cord or cut through it.